Last week was the first session of the B.A.M. (Bringing Arts to Meriwether) program at Greenville Middle High School. 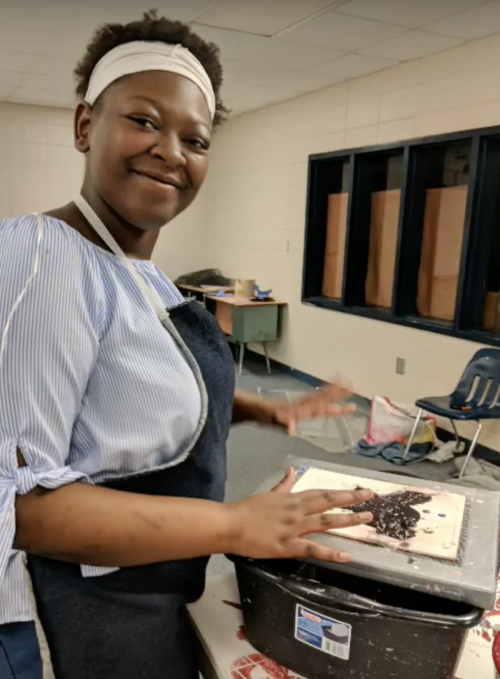 Both middle and high school students learned about paper making techniques with Artist in Residence, Ms. Pam Beagle-Daresta. The students had an absolute blast and made some incredible final products! Thank you to the B.A.M. team for working with our students and providing them with this great opportunity!